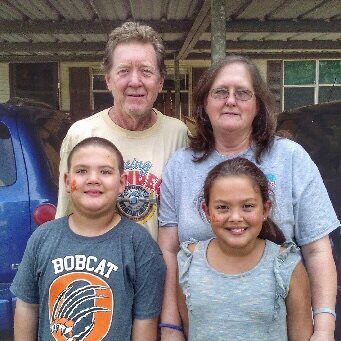 One of the families that we are going to meet next week is Mike and Patty and their grandchildren Landen and Kyleigh. They live in Orange TX. Mike is a retired welder. Their modest home was significantly damaged by Hurricane Harvey. So much so, that they had decided to close off about half of it as unlivable! No flood insurance and little help from FEMA. Just the kind of people we are looking for! Most of our work will be tearing out much of the spongy water-soaked existing flooring, repairing any joist damage and laying down a fresh new floor! We have a great team of around 15 volunteers leaving Thursday morning for the 10 hour drive. We'll give it our all Friday and Saturday and return to Atlanta on Sunday. Pray for our safe travels and success. Thanks to the many folks who have donated their hard earned money to this Cause. It will go directly to this family and others that we meet to close the gap and move them several steps closer to normal life! Consider yourself an Answered Prayer!